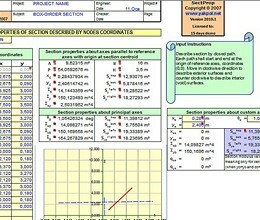 SectProp computes cross-sectional properties of structural members. The section geometry can be described by the nodes' coordinates or by the layers (uniaxial properties). Recently we added properties of thin-walled open section including shear center location and warping moment of inertia. 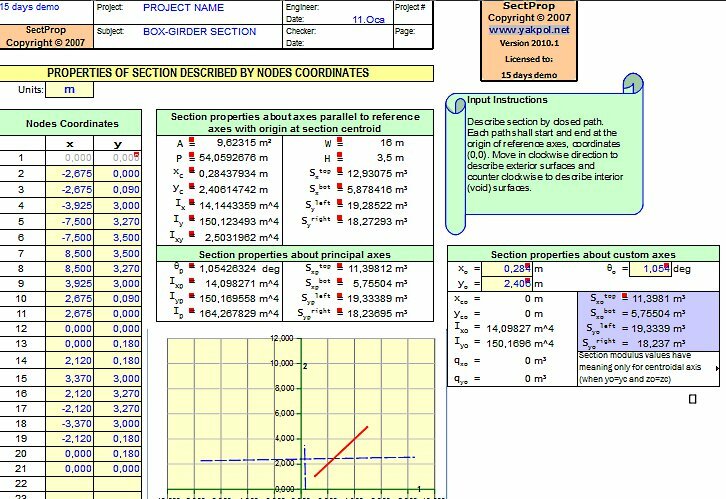 Describe section by closed path. Each path shall start and end at the origin of reference axes, coordinates (0, 0). Move in clockwise direction to describe exterior surfaces and counter clockwise to describe interior (void) surfaces. * SectProp download link provides demo version of the software. No one has rated SectProp yet. Be the first to rate this product.